Not long ago it was reported that purchasing a Hermés Birkin was a better investment than gold. 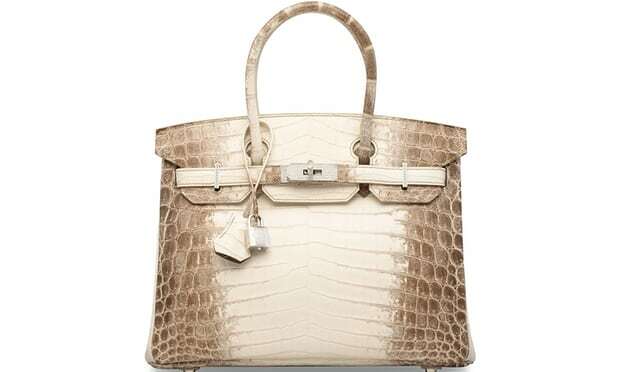 In fact - one Hermés Birkin bag recently sold for a whopping $280,000 at auction! But it’s not just Hermés that hold their value, some other designer brands such as Chanel can also be worth more money further down the line. However, this can only be true if a bag is in good condition. If it has not been well looked after and is showing signs of wear and tear, its second hand market value can drop dramatically. Below is a vintage Chanel from the 1990’s in good condition. The leather has been well maintained, still has a rich colour and the shape of the bag is in excellent condition. 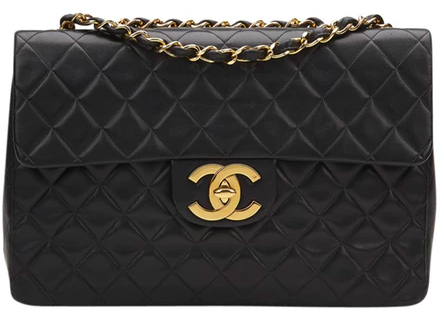 This Chanel can currently fetch up to $5000 online. When this bag was first sold in the 90’s it would have been for around $1500! Inflation aside, that’s still a huge increase of around 300% in less than 30 years! The Chanel below has been poorly looked after and has suffered from sunlight damage and poor storage amongst a host of other issues. 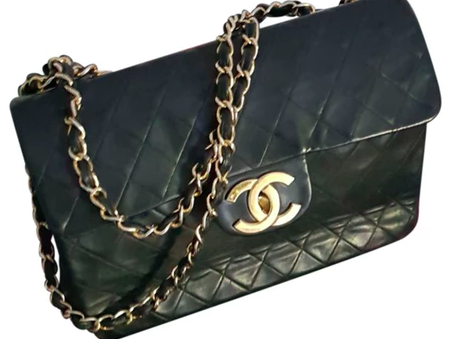 This Chanel has a second hand market value of around $2000 in this condition. That’s $3000 cheaper than the same bag above. This is why it is so important to have a care plan in place for your designer bag from the first day it comes home with you. If you carry out the correct cleaning and protection from day one, your handbag will look better for longer and therefore maintain its value, or in some cases over time, increase in value. Whether your bag is vintage, second hand or new from the shop, the correct care plan can help you save money! The reason our service exists at Bagsamoré, is because we are able to combat the signs of ageing on your handbags, helping to preserve the leather and revive areas of significant wear and tear. In fact, our services have been known to increase the value of some handbags. Why else is it so important? Monetary value aside - regular maintenance will lead to less problems over time and will keep your handbag looking its best for longer. We do tend to spend a lot of money on designer bags, so we want to use them with confidence without the fear of causing damage. Therefore it is important to know how to care for them from the beginning, to prolong the life of the leather. Here at Bagsamoré, we have a deep knowledge of leather. How it is made, finished, produced and how to care, repair and restore it. By following our simple recommended care package we can help you carry out the best care for your designer handbag. Whether your bag is new, or second hand the most important thing to do before wearing it is to protect it. This is an important piece of advice for all colours of leather, not just white. At Bagsamoré we have the best protector money can buy. It uses advanced fluorocarbon technology which works with the leather, allowing it to breath and absorb moisture whilst still giving a protective barrier against the worst staining problems. That’s right, leather needs moisture. Unlike other leather protectors on the market which repel even a whole bucket of water being poured on it, our protector will let in the moisture keeping the leather soft and supple but without leaving a stain (it’s magic). Silicone protectors that create a barrier will eventually dry out the leather - so if you are investing in a bag over the next 30 years, it will be worth while considering what type of protector is best for your bag. Just because your leather is protected doesn’t mean it doesn’t need cleaning. A little bit of regular maintenance goes a long way. Although the leather is protected from absorbing stains, dirt build up on the surface will still occur. By giving your bag a regular light clean once every week to two weeks depending on usage, you will keep your bag looking its best. If the protector is doing its job, any surface dirt, dye or other stains should just wipe away! Sending your bag for a professional clean and touch up once a year will keep your bag looking its very best for a long time. Let the experts do everything they can to tidy up those corners, touch up any scuffs and give the interior and exterior a deep clean. We recommend this for the end of a season when you have finished using your bag for the winter or summer. This means your bag is ready to go when you bring it out again next year. At Bagsamoré we have the perfect care plan package. Protect your bag for $35.00 - send your new bag to us and let the experts take care of the rest. We will professionally protect your bag using the very best protector money can buy. We make sure that every inch is covered so you can wear your investment with confidence. With the purchase of our protection service we also offer a 25% off your next clean within a year. So no excuses! Start your perfect maintenance plan today!